Located around the corner from the U.S. Patent and Trademark Office, 800 Carlyle is in the heart of an historic neighborhood known for the inventions that have made our lives both better and easier. This tradition of advancement and betterment has inspired everything you’ll find at 800 Carlyle. 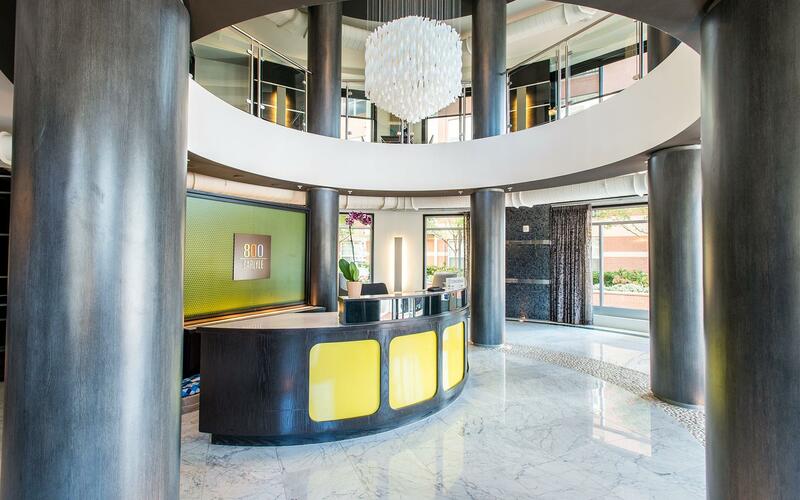 When you live here, you’ll come home to a beautifully designed apartment, wonderfully useful—and desirable—amenities, and a central location within walking distance to both the King Street and Eisenhower metro stations that makes getting around a breeze, whether you’re headed to work or going out for an evening in Old Town Alexandria. 800 Carlyle is all about improving daily life. It’s never been so easy to live so well.